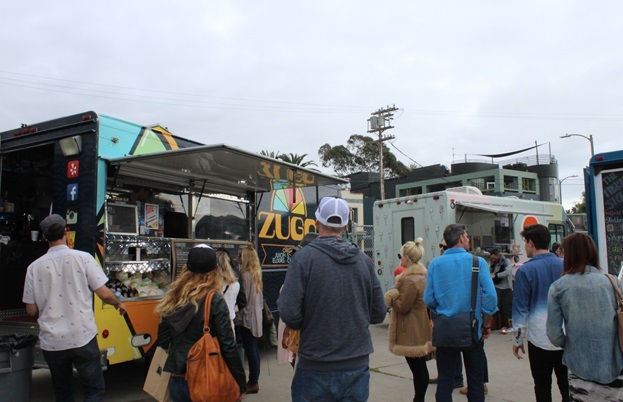 Katie Smith takes a look at LA's favourite mobile eateries, found parked up on street corners outside offices or taking part in dedicated food truck festivals, from the east to the west side. 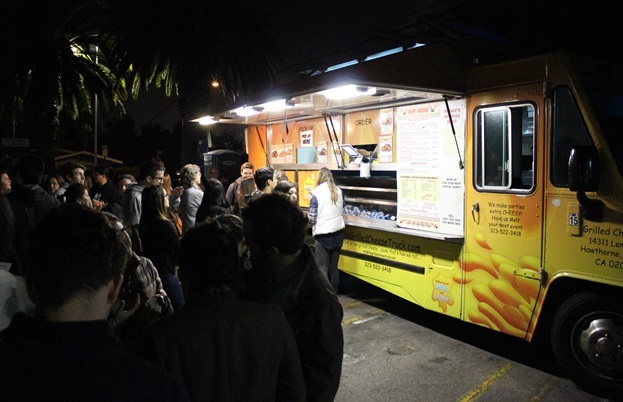 In this sprawling metropolis you don’t have to walk far to find a food truck buzzing with crowds of hungry Angelinos in LA. 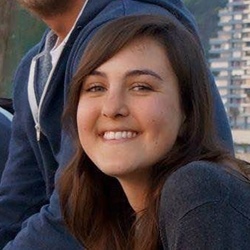 The chefs behind this thriving food culture are creative and the best specialise in a few choice dishes – anything from tacos and cheese toasties to sushi, lobster and ice cream sandwiches – taking global influence from the cultural melting pot that is LA. This is a city where food spans continents; where Mexican food meets Indian and Chinese cuisine meets American. Some of the best places to find it are at street-side food trucks – here are ten of the best found in the city. You can't compile a list of the best food trucks in LA without mentioning Kogi BBQ – just ask my passport control officer! 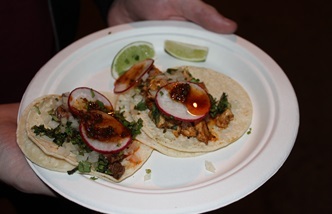 What started out in 2008 as a single Korean barbecue-inspired taco truck serving $2 tacos – including the infamous double caramelised short rib taco – has now grown to a fleet of four trucks and two sit-down restaurants under the watchful eye of founder Roy Choi. If you want delicious, pioneering Mexican-Korean mashups such as spicy pork burritos, kimchi quesadillas and calamari tacos, this is the place to go. The tacos de camaron (shrimp tacos) from Mariscos Jalisco have gained a somewhat iconic status in LA. The tortillas are first stuffed with prawns and folded, then fried until perfectly golden and crisp, before being adorned in a spicy red salsa and creamy slices of avocado. With all that juicy sauce, you’ve got to be quick before the taco shell loses its coveted crunch! If you’ve still got room for more, then The Poseidon is an epic tostada piled high with octopus, ceviche and aguachile (Mexican ceviche-style prawns) that will definitely cure any remaining hunger pangs. 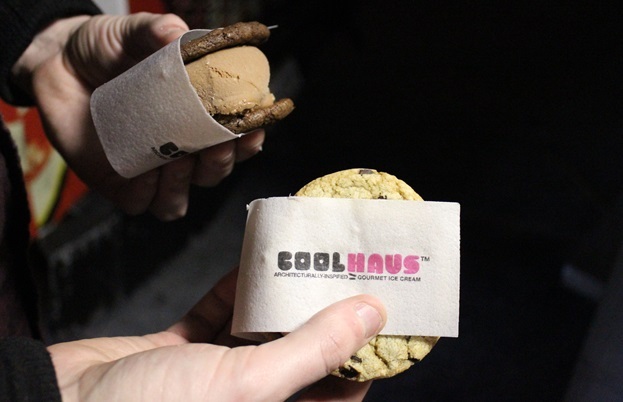 If the LA sunshine is getting too much, Coolhaus offers the perfect way to cool down with some unique ice cream architecture. Inspired by the Bauhaus design movement and Dutch architect Rem Koolhaas, these shining ice cream vans will build you a custom-made ice cream sandwich the likes of which you've never tasted before! What’s more, the ingredients are fresh, local and organic wherever possible. The flavours traverse the sweet-savoury spectrum, from my favourite (buttered French toast) to the more unusual (balsamic, fig and mascarpone). The cookie flavours are equally diverse: chocolate chip, Snickerdoodle, pumpkin pie, salted caramel macaron and marbled rye. Just make sure you leave enough room! The name says it all – grilled cheese, and lots of it! The Grilled Cheese Truck catapults the cheese toastie to previously unimaginable comfort food heights with creations such as the signature cheesy mac and rib melt, which sandwiches layers of melted cheddar, caramelised onions, house-smoked barbecue pork and Southern-style macaroni and cheese between two freshly toasted pieces of French bread. For more cheesy goodness, there's the Gruyère-infused French onion soup melt, brie melt and goat cheese melt, or you can go all out on the comfort with the iconic cheesy mac melt. LA’s thriving Japanese food scene is reflected in the success of this sushi burrito enterprise. It’s quite a simple idea really – chef Yo Pratioto has created a range of burrito-sized sushi rolls by encasing anything from barbecued eel to spicy tuna and langoustine in a layer of the same sticky rice found in your average sushi roll and wrapping it in soy paper sheets to create a satisfying healthy snack. For more Mexican-inspired dishes, try the spicy tuna nachos or the salmon ceviche taco. 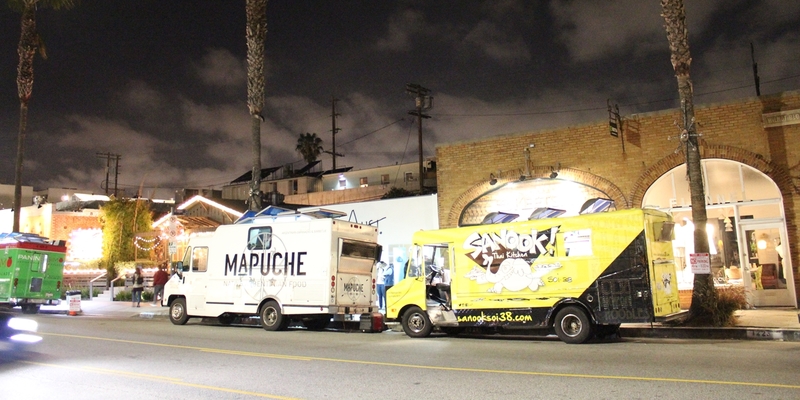 Chef Sumant Pardal has created a veritable feast of Indian street food with his mobile eatery. The truck is famed for its speciality, the Frankie: a roti wrap stuffed with fillings like lamb, chicken, paneer and prawns, all laced with tamarind chutney. 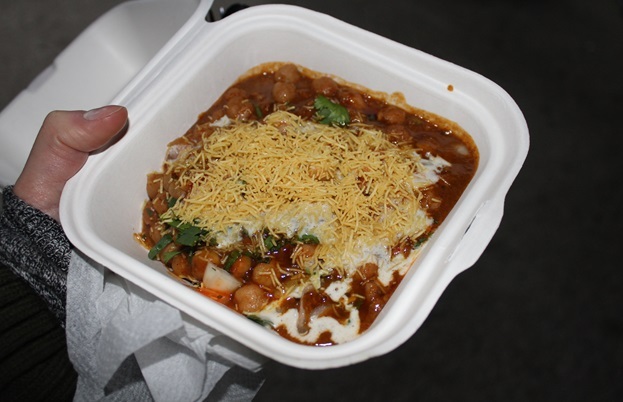 There are other handheld street food staples such as veggie samosas, spinach pakoras or the Mexican-influenced crispy blue corn taco chaat. Of course, no Indian street food menu would be complete without curry! The mild butter chicken is a favourite amongst locals, but I couldn’t resist the aloo tikki chaat: a potato pancake smothered in a hot mix of spiced chickpeas, raita and chickpea vermicelli (technically not a curry, but just as delicious). Seasonality and locally-sourced ingredients are key to Wes Avila’s mission of bringing high-quality Mexican food to the masses of taco-loving Angelinos. The daily menus are a constantly revolving mix of handmade salsas, chillies, burritos and tacos, all based on the produce available daily from local farmers’ markets, fishmongers and butchers. Wes trained as a chef under fine dining legends such as Alain Ducasse and this is reflected in the menu: tacos stuffed with braised oxtail, cauliflower, lamb kidneys and roasted sweet potato with feta cheese. A tad pricier than the standard taco truck but worth every penny! The bao buns range from the traditional Chinese barbecue pork bun (Char siu) and braised pork belly bun (kua pao) to the alternative chicken katsu and foo burger buns. In the mood for Chinese, Filipino, Taiwanese or Vietnamese? You can find all these cuisines and more Asian-inspired delicacies at this lesser-known food truck. 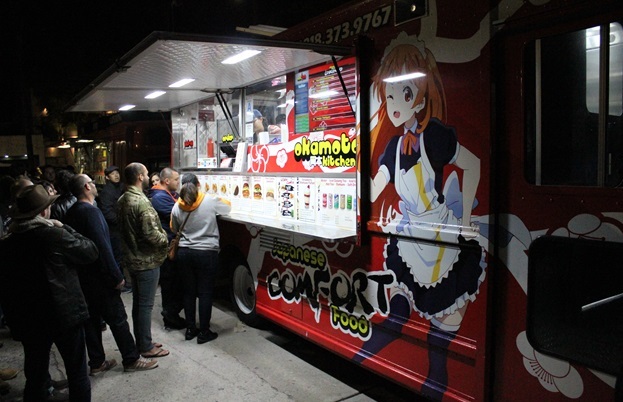 Steamed buns are the order of the day; light and fluffy, they are the perfect vehicles in which to transport their delicious cargo. The bao buns range from the traditional Chinese barbecue pork bun (Char siu) and braised pork belly bun (kua pao) to the alternative chicken katsu and foo burger buns. Beware of the sriracha sauce if you are not a fan of spicy food! Now on to a bun of the burger variety. Son of a Bun specialises in the art of crafting your own tailor-made burger from the freshest, local ingredients. Protein-wise you have the pick of hand-pressed beef burgers, marinated chicken and freshly grilled hot dogs. Next you choose the toppings, whether it be a simple slice of American cheese with lettuce, tomato, caramelised onion and hot sauce, or the more indulgent ‘Avoegg’ with avocado, pesto mayonnaise and an ‘easy’ egg which, when bitten, oozes its silky, yellow yolk. This truck is a seafood lover's paradise. 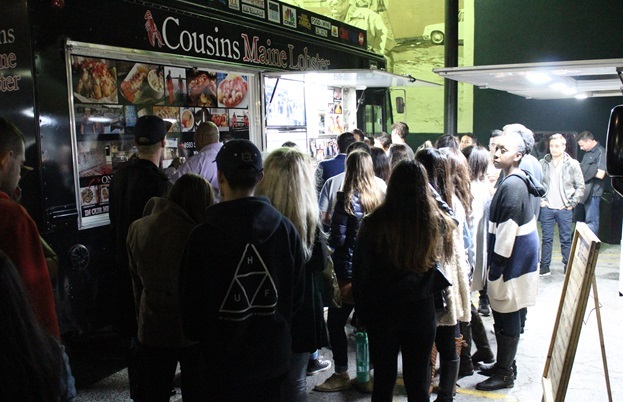 Cousins Maine Lobster brings the freshest seafood from Maine straight to hungry Angelinos in classics such as the Maine lobster roll as well as tacos, quesadillas and chowders. The popular Connecticut roll is served in a New England-style bread roll with fresh lobster, which is drizzled with warm butter and lemon. Authenticity is guaranteed, as all the produce is sourced directly from the Gulf of Maine.